To visit the festival-ready Pickathon site on Pendarvis Farm in Happy Valley on Thursday morning is to enter an idealized, meticulously conceived wonderland of well-situated and decorated stages, mind-blowing artwork, warmly inviting signage and uniquely comfort-rending amenities to impress even the most nonearthy music fan. And all that's before a note of music — from among the most creative and buzzed-about artists around the world — is struck. That exquisite attention to detail and cutting-edge sensibility means creating Pickathon each year — even after doing it 19 times — involves a good deal more "what if we? "-style imagination than old-fashioned business sense. "It's year to year — a very fragile ecosystem in many ways," says Zale Schoenborn, festival founder and executive director. "Its strengths, in any given year, could cause it to be the last year. ... We've kind of taken these chances and done more on behalf of the experience and best music. "We're constantly trying to evolve, add elements of food and art — all those kinds of pathways," he adds, "rather than trying to make a business model." 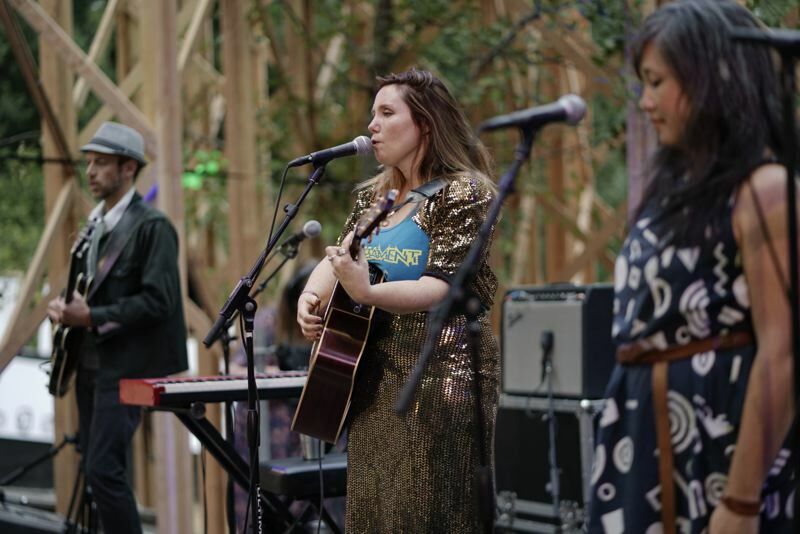 Sustainable model or no, the indie-roots music-steeped Pickathon returns to Happy Valley for its 20th anniversary festival from Friday, Aug. 3, through Sunday, Aug. 5. More than 50 artists will perform on six stages throughout the pastoral and wooded hills of Pendarvis Farm. 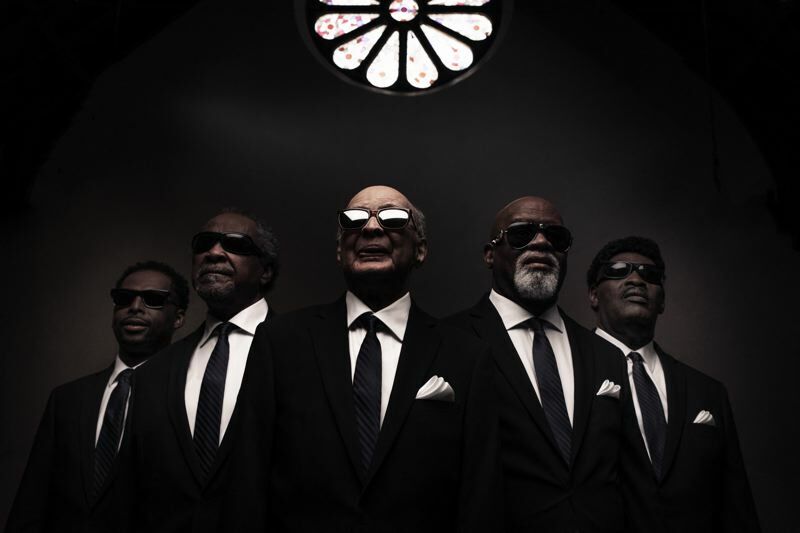 Old hands The Blind Boys of Alabama, Built to Spill, Broken Social Scene, Phosphorescent and main stage headliner Shakey Graves will mix with sonically striking relative up-and-comers like Bee Bee Sea, Swedish singer-songwriter Daniel Norgren, the Grammy-winning Lost Bayou Ramblers, Shovels & Rope, and singer-songwriter super-trio I'm With Her. 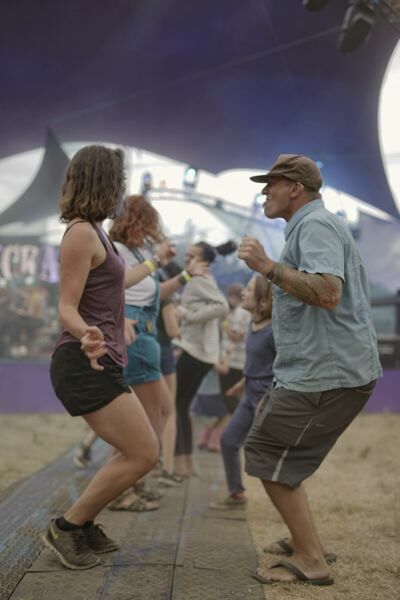 As in previous years, Schoenborn — an Intel engineer who happens to pick a mean mandolin — and his Pickathon cohorts are over the moon with this year's musical offerings. "It's gonna be such a great year — really off the hook," the Northeast Portland resident says. "It's 20 years, so this is a very special year where we're putting together the best music we feel like we've ever put together and the most interesting experience we've ever been able to pull off." 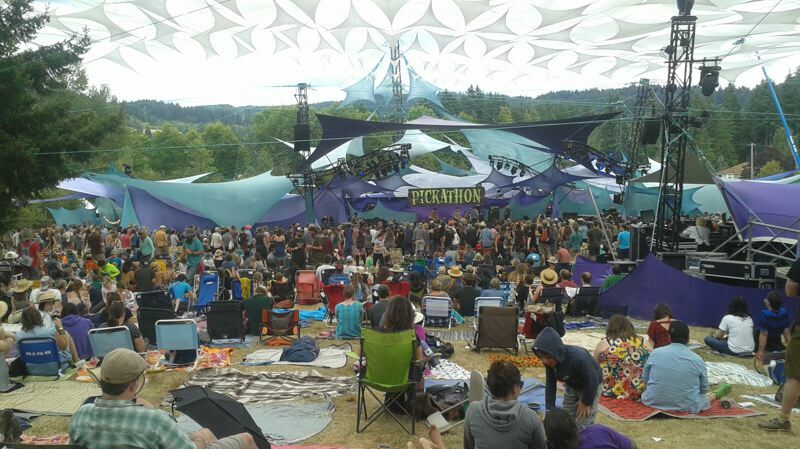 Regarding the notion that Pickathon consistently turns the "how many bands are there that I've heard of?" notion on its ear, Schoenborn, 49, lets loose a knowing chuckle. "You do have to have that leap of faith," he says, noting the festival's democratically curatorial approach to choosing artists. "We have an open source (pool of) expertise. Having a lot of smart people feeding you music is a good thing. The best music should win, regardless of their draw." Eclecticism, rather than strict stylistic cohesion, is Pickathon's order of the day. "There are so many good styles. We push to find that prime thing happening in different music scenes, put it all up against each other and it still works." Mentioning faves such as I'm With Her, Phosphorescent and Blind Boys of Alabama, Schoenborn makes particular note of DakhaBrakha, which he calls "an amazing kind of band from the Ukraine. It's three women and three men who play pop music but (Ukrainian). It's going to be incredible to experience live." As Pickathon's sounds evolve, so does the festival experience itself. Adding to the artistic flourishes regulars have come to expect is a collaboration with Forest for the Trees, a Portland-based nonprofit group dedicated to creating contemporary public art. Schoenborn met with artist Gage Hamilton and curator Matt Wagner of Hellion Gallery to discuss flourishes for the Treeline Stage and reimagining the popular late-night Galaxy Barn courtyard into the new "Galaxy Artyard." While the bonfire pit area will remain intact, ethereal additions this year include a wall adored with various artwork, LED lighting nets and a video projection system that will synch with live music and DJs. "It's a new space completely," Schoenborn promises. "What used to be there is unrecognizable." Keeping up a yearly tradition, the Treeline Stage will be completely redesigned by Portland State University architecture students, and the nearby cafe area will get a majestic makeover that belies the transient nature of the festival site. "We're pushing the staircase all the way down to the road. It will look more like a temple, with a very distinct, grown-up venue feel," he says. "We've really hit our stride in terms of the Treeline." Schoenborn, who's pleased about keeping weekend pass prices under $330 this year, might not know exactly in what form the world-renowned Pickathon — along with its multimedia content spinoffs — might celebrate its 25th anniversary, only that the inspiration it's unleashed at year 20 is unstoppable. "Our strength is to pull an Olympic-level effort out of everybody, whatever you do — sound, music, art," he says. "That's kind of where we have to be in order to survive."